•	Three sizes available - 36" / 42" / 46" width, 12" High. pistols and two large zipped compartments for misc kit. •	Three small side pouches with velcro and buckle closing and elastic cord to secure the contents. 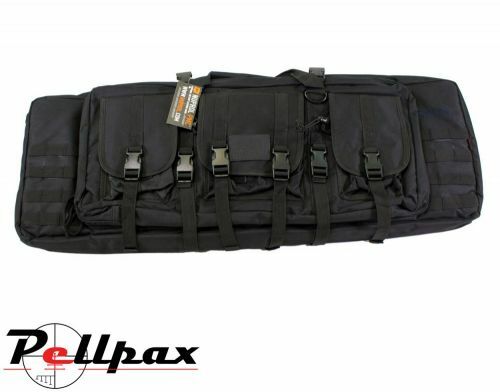 •	MOLLE loops at either end to customise the bag with your own pouches. •	Large side carry handle. •	Padded adjustable/removeable shoulder straps. Add this item to your basket & spend an extra £454.01 to apply for finance.